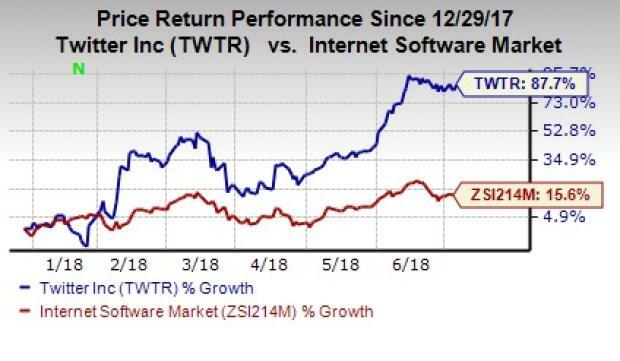 On Jul 6, Twitter (NYSE:TWTR) was upgraded to a Zacks Rank #1 (Strong Buy). Twitter has been gaining from strong expansion and growth in international markets. A surge in revenues from video advertisements has also been beneficial for the company. Accelerated adoption of video ad products like Video Website Cards and Video App Cards is a positive. The company’s initiatives for boosting user growth rate and engagement levels by making tweeting easier and more expressive have been tailwinds as well. Also, most recently, the company announced that it has taken a stricter stance to combat criticisms that social media companies are facing of late. The company has come up with a verification process for opening new accounts on the platform. An audit to ensure authenticity of every account created on the platform is also being undertaken. Twitter has long been criticized for the lack of authentication in order to fight the spam account menace. We believe its recent efforts to fight against bots and trolls will help it build trust, repair brand image and thereby improve user engagement. Notably, the stock has gained 87.7% in the year-to-date period, outperforming the 15.6% gain of the industry during the same time frame. 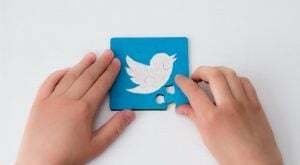 Twitter has been benefiting from increasing mobile users and its strategic acquisitions. Moreover, the recent spate of live streaming deals looks promising. These have positively impacted the company’s top line. In first-quarter 2018, the company’s revenues increased 21% year over year to reach $665 million. Twitter’s cost cutting initiatives helped it to achieve its long-term EBITDA margin target in the last reported quarter. We believe all these efforts will enable the company to maintain its strong foothold in the social media industry in spite of competition from the likes of Facebook (NASDAQ:FB) and Snapchat (NYSE:SNAP) among others. Article printed from InvestorPlace Media, https://investorplace.com/2018/07/twitter-twtr-upgraded-strong-buy-solid-international-growth-ggsyn/.